The goal of NASA's Quiet Aircraft Technology (QAT) program is to reduce perceived aircraft noise by 50 percent in 10 years and by 75 percent in 25 years, using 1997 levels as the baseline. Jet exhaust is a strong contributor to perceived noise during aircraft takeoff (Figure 1). The QAT program has undertaken experimental and computational research to understand and reduce jet exhaust noise. 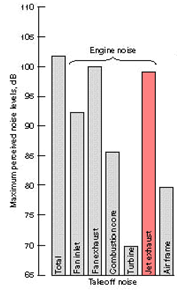 Figure 1: Contributions to perceived noise during aircraft takeoff. Research into jet exhaust has shown that jet noise can be controlled by varying the nozzle lip geometry. Standard jet nozzles feature an axi-symmetric conical exhaust. Adding chevrons, scallops, or other asymmetric lip geometry (Figure 2) strengthens streamwise vortices which increase jet plume mixing resulting in a reduced overall sound pressure level. 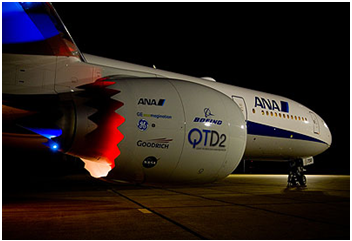 Figure 2: NASA Quiet Technology Demonstrator 2, a modified Boeing 777 fitted with noise reducing technology. Until recently, only reduced order computational models limited to canonical cases were available. The advent of new computational techniques, utilizing efficient algorithms such as overset composite meshes and high performance parallel computing, has allowed for simulation of complex configurations previously only developed through expensive experimental investigation. 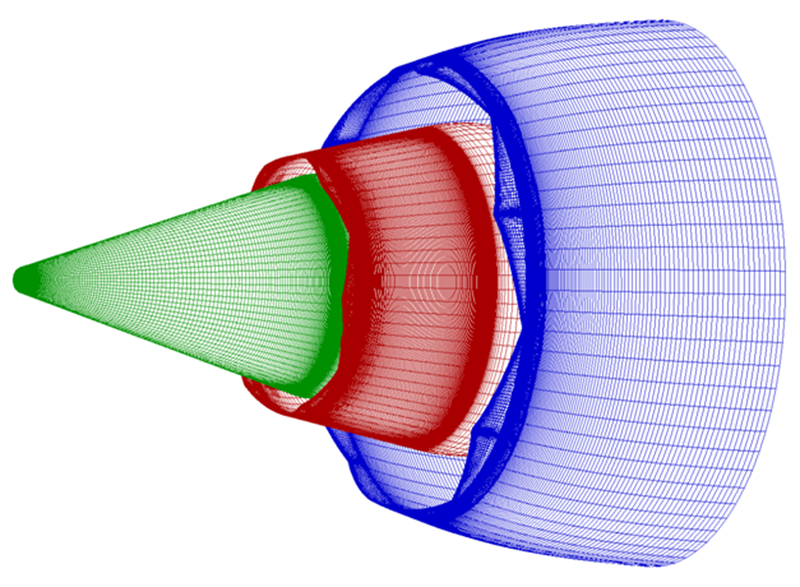 However, computational research into asymmetric nozzle lip geometry has been slowed by the need for high quality computational fluid dynamics (CFD)-ready meshes. For the chevron lip concept alone, there are several parameters, e.g. chevron count, length, and penetration, which must be investigated to determine the optimal design. Pointwise, Inc. has worked with a QAT program member to develop a Glyph script for automation of CFD meshing for conical and chevron jet nozzles. A parametric script was developed which generates an overset, multi-block structured grid on an input CAD model. Acoustic simulation requires a higher than second order CFD solver to accurately and efficiently capture the relevant pressure wave lengths. Consequently, care must be taken when constructing the CFD mesh as the accuracy of high order methods degrades substantially on unsmooth meshes. Pointwise's structured meshing tools are designed with high quality meshes in mind, making the software an ideal fit for this application. Figure 3: Structured surface grid on dual flow chevron nozzle geometry. Upon completion of the meshing phase, the Glyph script exports the component grids and control file for use by the PEGASUS overset grid assembly software. From there, it is on to the CFD solver for flow simulation. Finally, a graphical user interface (GUI) for the Glyph script was developed. The GUI allows propulsion engineers unfamiliar with the intricacies of mesh generation to create high quality, CFD-ready meshes in a matter of minutes. 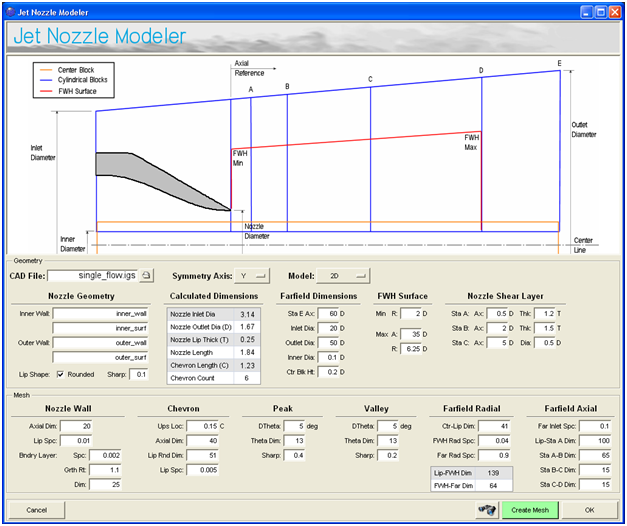 Figure 4: Graphical user interface for the jet nozzle Glyph script. The creation of a Glyph script for the automation of jet nozzle meshing will improve the efficiency of noise prediction simulation within the QAT program. A new analysis-ready mesh can be created in under one hour as opposed to one to three days required for each hand-assembled mesh. A typical design study will include two or three analysis cycles on each of seven to eight configurations. Design study meshing is thereby reduced from about two months to a matter of days. Let us automate your meshing. Request a consultation with one of our engineers today.